Now Facebook has the new Sidebar for Chats, and if you are the Facebook user then you can hear the alert sound (ding) that is sent every time you send and receive IMs on Facebook. Sometime these notifications can be annoying. You can disable them with a few clicks. Here is the tutorial which will help you to turn off the Facebook Chat alert sound, or disabling chat completely if you choose to do so. Step 2. 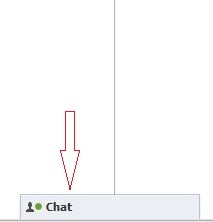 Locate the Chat window on Bottom right corner and click on it to open. Step 3. 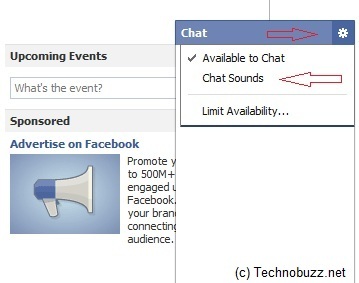 Now Click the Setting Button on the top right and Unchecked the “Chat Sounds” option to Disable the Facebook Chat Alerts.